New breakthroughs are being made every day in genomics. It’s a dynamic and fascinating industry, and with exceptional growth forecasted in the DNA sequencing market, a new generation of people are entering the field: future researchers, clinicians, counselors and doctors. This new generation will need to learn not only the science, but also understand how to process the massive amounts of data generated with DNA sequencing (and genomics in general). Managing large volumes of data is already a mission critical topic in bioinformatics, where many core facilities are overworked. They do their best to keep up with the demand, but going forward there will be more data, more projects and more people to support. How will bioinformatics keep up? Now, as universities are putting educational programs together to prepare the next generation of scientists and clinicians to understand the ins and outs of DNA analytics, they are running into obstacles. Bright kids who are fascinated by the science (human, animal, plant) are not necessarily computer programmers nor do they want to be. 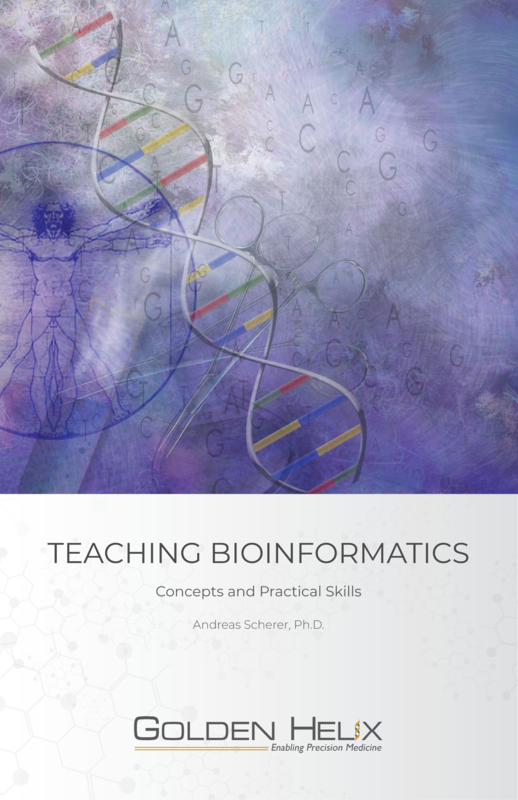 Yet, many of the tools used to teach basic analytic skills in genomics programs are public domain/open source programs that require enormous amounts of computer science knowledge to navigate.